Freeform’s Good Trouble is living up to The Fosters’ fame of tackling groundbreaking subjects. If you’ve been watching The Fosters spinoff, you’ve heard the name Tommy Martinez. He portrays Gael on the show and he’s become a teen icon for his character. This guy’s going places and taking names! So we’ve got Tommy Martinez’s wiki to celebrate his achievements. Tomas “Tommy” Martinez was born on March 20, 1992 in Venezuela. He’s one of six children born to his Venezuelan parents. Tommy’s family moved to Florida when he was four years old. His mother, Erika Abudei, graduated from International Fine Arts College in Miami in 1980, before Tommy was born. One of his brothers, Gus Martinez, is a realtor in South Florida. He also has a brother named Daniel A. Martinez and a sister, Ana Isabel Martinez. Martinez grew up in Florida with his siblings and at one point, was going to college in Tallahassee. But he dropped out and moved to Los Angeles to pursue acting. Before he found his calling, Martinez took a variety of classes until he discovered what he wanted to do for his future career. One of his earliest experiences in acting was working in a short film when he was in college. “I’ve always admired how actors can portray a character in such compelling ways, but I never thought of myself doing it one day. I thought it was a fairy tale and that it couldn’t be achieved. The first day of shooting, an unshakable feeling rushed through my body all at once. ‘This is it,’ I thought to myself. For the first time in my life, I had found a love so strong for something. I had found a purpose and a dream,” he said. Knowing that he wanted to be an actor, he moved to L.A. to pursue it wholeheartedly. Upon moving to California, Martinez supported himself through modeling. He signed with Wilhelmina and made a pretty penny modeling. During his two-year modeling career, he prominently featured in Abercrombie & Fitch ad campaigns. It not only paid the bills but also put him through acting classes. When modeling jobs slowed down, he worked as a waiter in a restaurant. While he working there, he’d take calls from his agent in the bathroom. That’s where he got the news that he’d landed jobs in Shameless and Riverdale. 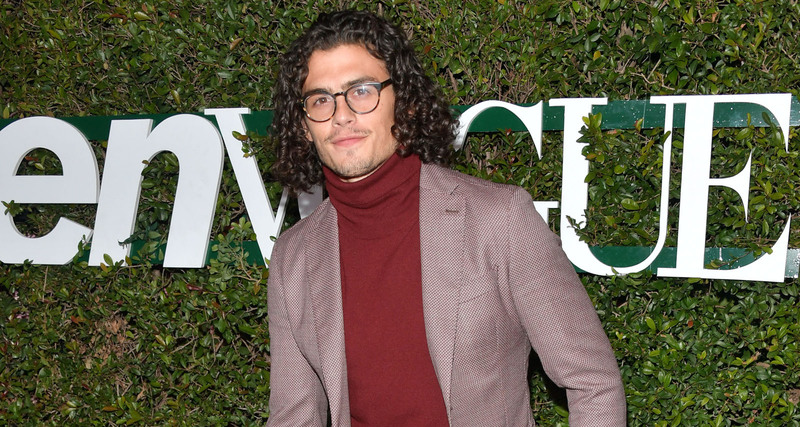 The former model made his acting debut in a 2017 episode of Shameless and a minor role in NCIS: Los Angeles. His big break came in the latest Netflix hit, Riverdale. Martinez portrayed Malachai, the leader of the Ghoulies and a dangerous drug dealer. Soon after Riverdale, he bagged a regular appearance in The Fosters spinoff, Good Trouble. His character, Gael Martinez, is a Latino artist and graphic designer, and a very flirtatious neighbor of Callie (Maia Mitchell) and Mariana Foster (Cierra Ramirez). Heading to the @goodtrouble premiere tonight with the people I love. This show has changed my life in ways I never thought could ever happen. I feel free after these past couple of weeks. A freedom that has been in the shadows for many years. Lets change lives. Tonight is the night on @freeform. Cheers. Like The Fosters, Good Trouble doesn’t shy away from the tough topics, including LGBTQ themes. Gael is bisexual, which has made him immensely popular among the show’s fanbase. Gael is closeted to his parents after he sees them struggle to accept his transgender sister, Jazmin (Hailie Sahar). Callie likes Gael but is too afraid to pursue anything with him because of his bisexual nature. His dynamic with Callie is further complicated when it’s revealed he’s also dating a guy named Bryan. The show is tackling the stereotypes surrounding the LGBTQ community, particularly bisexuality. It’s Martinez’s first time playing a queer character and he’s never met an openly bisexual person. However, he has friends who are gay and understands the stigma they are subjected to. “Just thinking about the struggles that they have to go through —what’s most heartbreaking about that is that it probably comes from their family and that’s their direct stem in life,” Martinez said about how he relates to Gael’s character. While talking about Gael at a Good Trouble panel at the Los Angeles LGBT Center, Tommy revealed that he had an “experience” with a man many years ago. But he never found the courage to open up about it until he became an icon for representing a bi male on TV. A few weeks before the panel, he was on vacation with his family and a relative of his was put on the spot for an incident from years ago between him and another boy. Seeing his relative break down after being made fun of for it made Martinez want to open up about his own experience for the first time in public. The way people around him reacted to the subject of homosexuality led Martinez to keep his encounter with the man to himself. But after receiving a lot of love from the LGBTQ community for his role on Good Trouble, Martinez was finally able to talk about the incident. Martinez doesn’t identify as bisexual like the character he plays. Nonetheless, he’s blissfully in love with Adeline Rudolph. You might recognize her as the Weird Sister, Agatha, from Netflix’s Chilling Adventures of Sabrina. It’s unclear how and when they met, but they made their relationship Instagram official in December 2018. They made their red carpet debut as a couple at the premiere of Good Trouble.